Steve and I have both been sick with an annoying cold with a nasty cough. Really annoying, and extra annoying seeing as though I have been on holidays from work. 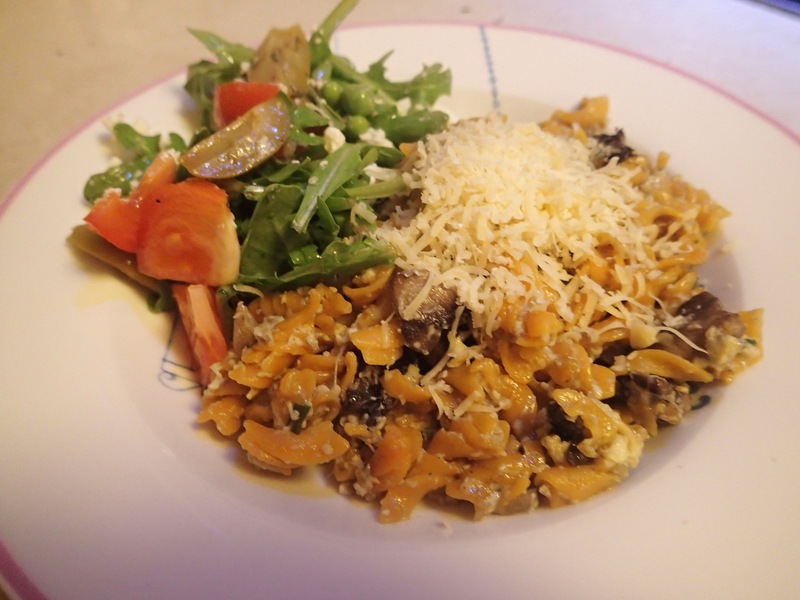 Made a quick mushroom carbonara for dinner on Thursday night.